Portrait of Yongle, the first Chinese emperor who lived in the Forbidden City. Yongle is the best known Chinese emperor. 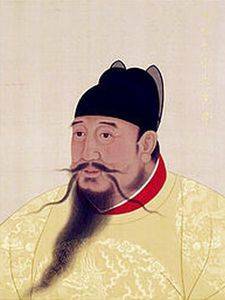 Third Emperor of the Ming Dynasty, he lived from 1360 to 1424, coming to power in 1402. 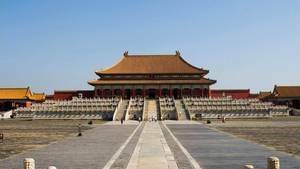 He is mainly known for reforming the Chinese nation, moved the capital to Beijing and built the Forbidden City. Yongle was born on May 2, 1360, he is the 4th son of Emperor Hongwu, the founder of the Ming Dynasty. 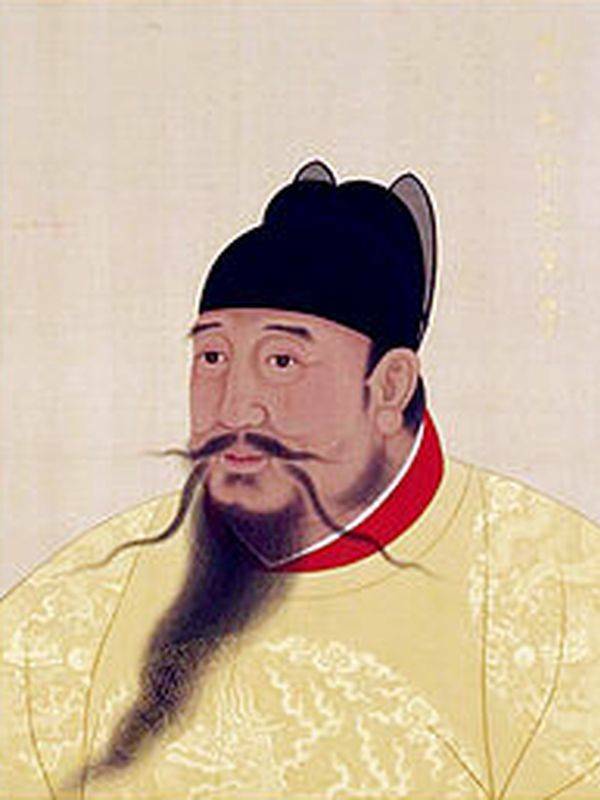 Hongwu, whose real name is Zhu Yuanzhang, was a peasant who managed to gather enough men to fight against the emperor of the Mongolian Yuan dynasty, who ruled China. He won the fight and managed to make him run away. He then settled on the throne left vacant under the name of Hongwu. Its capital being Nanjing. His 4th son was Zhu Di. When he was old enough to make his own decisions, around the age of 20, he was named Prince of Yan, the Yan being the northern region of China, around Beijing. This appointment was an honor and we do not know why he was given this title, but still, the north of China was the most dangerous region because it was the one in contact with the Mongol territory, the hereditary enemy newly hunted from China. He therefore put himself at the head of the Chinese forces and spent the next ten years fighting the Mongols, which he did successfully while taking military capabilities that will be useful later, in 1398. It was in 1398 that his father died. But his eldest son was already dead at that time, so the power came into the hands of his grandson Zhu Yunwen who called himself Jianwan (meaning "The scholar"). Conscious of the weakness of his powers in view of his little experience, he decided to reduce the military forces of his vassals. His uncle Zhu Di was the most powerful of all. The latter took the initiative to attack his nephew to remove him and take his place. Fighting between Jianwan's regular army and Zhu Di's army lasted four years, during which time the emperor tried to rule his empire as best he could. At the end of the war it was Zhu Di who won, the emperor probably died in the fire of his palace. Zhu Di, Prince of Yan, then climbed the throne under the name of Yongle and tried, all his life, to legitimize himself eyes of the people. It must be said that in the feudal Chinese civilization the emperor was the guarantor of the smooth running of society. The beliefs were in the direction of an association between the deeds and gestures of the emperor and the happiness of the population, it was therefore necessary that the emperor be happy, in harmony on pain of being considered responsible for the disasters suffered by the people, whether natural disasters (bad weather destroying crops) or human origin (Mongol attacks). Yongle therefore chooses to make a policy in accordance with these principles. He began by reducing natural hazards by doing major work in the most important agricultural areas of China. Large canals were created, serving smaller waterways. Thanks to this not only the commercial and cultural exchanges were facilitated, but the floods were contained, the canals serving as water reserves in case of fire. To limit the Mongolian risk, he used his skills acquired in his youth to fight them. He knew the territories, the means of action and now he had an even more powerful army to chase the Mongols to Manchuria. Soon they were no longer a threat to the population. In the same way he conquers a new province in the South of the country, Dai Viet, calming the risks of rebellions. Always in the idea of legitimizing his usurped power, he multiplied maritime expeditions to meet other peoples. The idea was to make political contacts that could eventually be beneficial to the Chinese people if they turned into commercial ties, which would have removed famine. However, despite the money spent between 1405 and 1433, these contacts were not as important as hoped, and the expeditions were stopped in 1433, probably for lack of means. Also noteworthy in Yongle's reign is the design of Yongle's encyclopedia. His interest in his nation led him to commission an encyclopaedia of all known writings emanating from philosophers, poets, and historians of Chinese history. The Yongle Encyclopedia ("Yonglè Dàdian") was started in 1403 and finished in 1408. There are more than 2,000 researchers in Nanjing who worked there. They produced 11000 volumes describing the arts, sciences, technology, religious beliefs and achievements of the Chinese people, all in a coherent literary ensemble. Yongle was a fit of Confucianism. In order to better understand the springs of this religion he followed the rites required of this school. It must be said that in this current of thought, it is the rites that maintained the equilibrium of Chinese society. He developed Taoism and Buddhism in parallel with the deeds of past emperors. Here too, the acceptance of many religions by the Chinese government served as a political glue for a mosaic of scattered peoples, which was also done in the culture. moghol a dynasty that reigned over an empire from Pakistan to Burma, from Hymalaya to southern India, from the 16th to the 20th century th century. (We owe them the construction of the Taj Mahal. In 1403 Yongle asked that the Tibetan monk Deshin Shekpa come to Nanjing to explain the precepts of Tibetan Buddhism, which was done in 1407. It was from this meeting that the great religious tolerance of the Chinese people was born, which will be followed by most emperors of the Ming Dynasty. Yongle went so far as to establish an examination to control his people's knowledge of Confucianism. These examinations focused on Confucian fundamentals and served as a code of ethics for the daily life of Chinese people as well as a code of good relations for members of the government. Moreover this examination had an important effect: The population was forced to literate, which made the country literate. Beijing was the former capital during the Mongol rule of the Yuan Dynasty, but it had the advantage of being close to the Mongolian enemies, and it was well known to Yongle, who lived there before taking power. In addition Nanjing, the current capital, was poorly protected, it was surrounded by hills easily taken by enemies. Finally on the spot, it would be far from the internal threats represented by some members of the court. For all these reasons he moved his capital to Beijing and built a new imperial palace. That the principles of Confucianism this palace would be very regular, symmetrical. The construction was given to a young architect, Kuai Xiang, barely 30 years old. The latter decided to use the model of the Nanjing Imperial Palace for his new palace, to which he added many historical references to the previous dynasties, the Tang and the Song. He added elements of Confucian, astronomical, Taoist and traditional beliefs to create a mixture of philosophical systems and Chinese religions. It took only 14 years to complete the palace and the high walls that surround it. This palace has not really changed since that time. Yongle died on August 12, 1424 in Beijing, he is buried in the grave of Changling, the most beautiful tomb mausoleum Ming. After his death, his son Hongxi took over. Yongle married Ren Xiao Wen, who became the Empress of China, but Yongle had several concubines, as had always been the case. He had three children: Honxi, who took over, Zhu Gaoxu and Zhu Gaosui.